Al Shabaab spokesman Sheikh Ali Mohamed Rage from the video, "AMISOM and the Inevitable End"; released June 17, 2011 (SITE Intelligence Group). Somalia’s militant Islamist group al Shabaab provides a safe haven to senior al Qaeda operatives and is establishing operational ties to al Qaeda’s most active affiliate in Yemen. The group’s rise, its ambitions beyond Somalia, and recent signs that it is garnering greater attention from al Qaeda Central leaders suggest that al Shabaab is an increasingly key player in the al Qaeda Network (AQN). Al Shabaab controls most of southern and central Somalia. It has established local administrations in the areas under its control and operates terrorist training camps. Al Shabaab seeks to erect an Islamist government in Somalia and is conducting an insurgency against the weak, UN-backed Transitional Federal Government (TFG) and the African Union Mission in Somalia (AMISOM). The group’s stated goals are global in scope and indicate a clear desire to participate in global jihad. Al Shabaab’s anti-Western rhetoric and expressed support for newly appointed al Qaeda leader Ayman al Zawahiri underscore the group’s alignment with the AQN. It has provided refuge to known al Qaeda operatives and actively recruits foreign fighters. The failure to contest and eliminate al Shabaab’s control over territory in Somalia has provided a safe haven from which it wages an insurgency and interacts with the broader AQN. The group has established relationships with elements of the broader al Qaeda network . It has sheltered al Qaeda operatives and other militants that share its ideological goals within the territory that it controls. At least two al Qaeda in East Africa commanders found sanctuary in Somalia with al Shabaab: Fazul Abdullah Mohammed and Saleh Ali Saleh Nabhan. Mohammed, a mastermind behind the 1998 American embassy bombings in Kenya and Tanzania, operated freely in Somalia until his death in the capital, Mogadishu, on June 8, 2011. He used his numerous aliases and forged passports to liaise between al Qaeda-affiliated networks and travel in and out of Somalia. Mohammed was also among al Qaeda’s foremost explosive experts. He effectively utilized the influx of foreign fighters to conduct suicide bombings and attacks on government-controlled areas, key strategic locations, and targets abroad. Ugandan officials marked Mohammed as a key suspect in al Shabaab’s twin bombing attack in Kampala, Uganda on July 11, 2010. Nabhan, connected to both the 1998 American embassy bombings and the 2002 attacks on Israeli targets in Mombasa, Kenya, was killed in a direct action raid in Baraawe in southern Somalia on September 14, 2009. 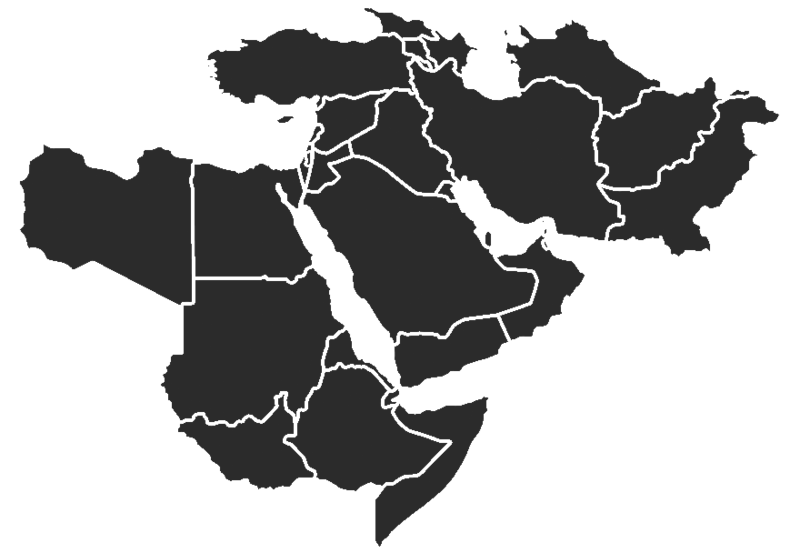 Al Qaeda in the Arabian Peninsula (AQAP), al Qaeda’s most active franchise based in Yemen, and al Shabaab are also cooperating. The two groups are located across the Gulf of Aden from one another and appear to be sharing resources and establishing personnel ties. Two senior members of al Shabaab targeted in a June 2011 drone strike in southern Somalia had “direct ties” to Anwar al Awlaki and were planning attacks outside Somalia. The recent capture of an al Shabaab operative, Ahmed Abdulkadir Warsame, has provided additional insight into al Shabaab-AQAP ties. Warsame effectively operated as a liaison between the two organizations. The Somali national, captured by American forces in the Gulf of Aden, provided material support for al Shabaab and AQAP, conspired to train in and demonstrate the use of explosives, and brokered a “weapons deal with AQAP on behalf of al Shabaab,” among numerous other charges. AQAP leaders, who have been actively planning to attack the American homeland, have also encouraged al Shabaab to expand its targets beyond Somalia, according to information gleaned following Warsame’s capture. Intelligence from interrogations and retrieved digital files revealed that AQAP leader Nasser al Wahayshi has worked to build ties between the two militant organizations. Al Qaeda Central’s leadership, including Osama bin Laden’s successor Ayman al Zawahiri, has pressed al Shabaab to change its name to al Qaeda in East Africa and, in January, offered to make al Shabaab a designated regional franchise. Al Shabaab may be providing training for other militant Islamist groups in Africa. Nigeria’s Islamist sect Boko Haram suggested that it has ties to al Shabaab in a June 14 handwritten statement that read, “Very soon, we will wage jihad...We want to make it known that our jihadists have arrived in Nigeria from Somalia where they received real training on warfare from our brethren who made that country ungovernable.” Two days after Boko Haram released the letter, the group conducted a suicide attack at the police headquarters in the Nigerian capital of Abuja. The suicide attack, which was the first of its kind in Nigeria, has raised concern that the bomber was trained by al Shabaab or al Qaeda elements. A multinational government inquiry is underway to determine if Somali and Sudanese suspects in the attack are connected with al Shabaab. Evidence of al Shabaab’s involvement would further demonstrate the group’s increasing ability to export terrorism. The June 24 strike targeting senior Shabaab leaders was near a large al Shabaab training camp in Qandal, approximately six miles south of Kismayo. “Somalia: ‘Foreign air raid’ targets Kismayo’s al-Shabab,” BBC, June 24, 2011. Available: http://www.bbc.co.uk/news/world-africa-13901400. Al Shabaab reportedly turned the offer down, likely due to divisions within the leadership over the pursuit of international attacks.